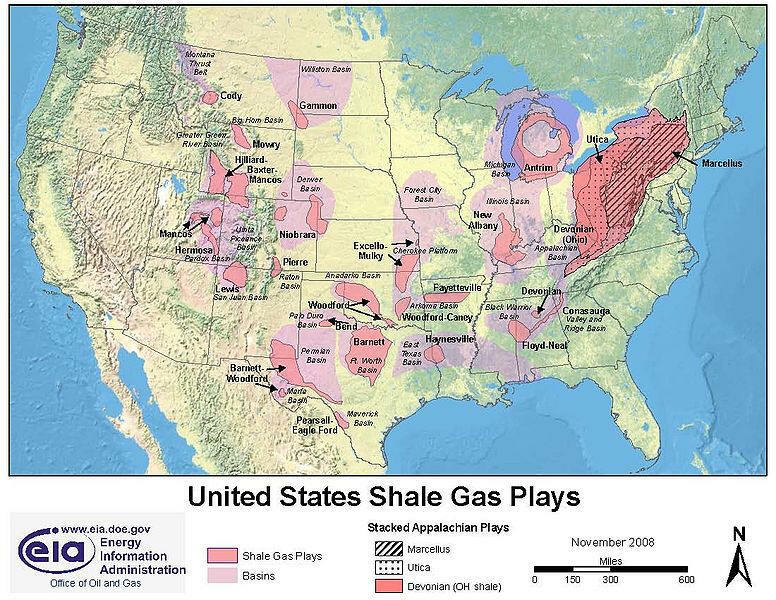 A map of the shale gas plays in the United States.//from EIA. Well, well, the plot is thickening. Reuters is reporting that it has emails indicating that CEO Aubrey McClendon of Chesapeake Energy Corp. conspired with a key competitor to keep land prices down in shale gas areas of Michigan two years ago. Reuters reports that McClendon tells a Chesapeake vice president in an email that it’s “time to smoke a peace pipe” with rival Encana Corp. of Canada to avoid “bidding each other up.” Other emails show the companies discussing how to avoid bidding against each other in a public-land auction and in deals involving private landowners. The emails could be used as evidence to show the companies violated antitrust laws, according to the report. As the Enoch Pratt librarians tried to rush the last questioner along and “sell some books,” a public health nurse refused to stop talking. She had a big announcement Thursday for those who had been listening to journalist Tom Wilber’s talk about fracking: The American Nurses Association on June 15 had passed a resolution calling for a moratorium on permits for fracking because of all the questions about safety and health. The audience urged her on, and she continued to list some of the impacts of fracking, including air pollution from diesel fumes, increased truck accidents on rural roads and even a study showing babies born in fracking areas have lower APGAR scores. That test evaluates infants immediately after birth to assess five criteria, including skin tone, pulse, reflexes, muscle tone and respiration. The resolution was submitted by The Pennsylvania State Nurses Association, whose members are at ground zero for fracking. In Pennsylvania, for example, doctors and other health professionals are operating under Act 13’s so-called gag rule, which enables doctors to get information about fracking chemicals that might be making a patient sick but requires them to keep this information “confidential.” Physicians fear this bars them from discussing the chemicals with their patients. It also prevents them from disclosing this information to an endangered community. 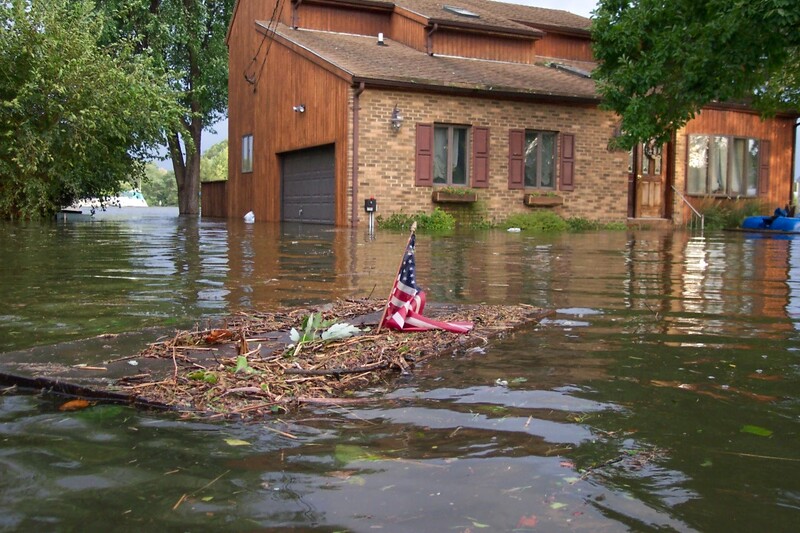 Storm surge flooding in Bowleys Quarters, MD, after Hurricane Isabel in September 2003//photo by Jason Cohen, via Wikipedia. The plan counts on heavier reliance on natural gas – either from Maryland or imported from other states. The costs of fracking to the environment, however, are not mentioned in the plan. Nor does the plan factor in the greenhouse gas emissions from the intense industrialization required in fracking (methane release, flaring and diesel trucking emissions). About half the emission reductions will come from Maryland’s participation in the Regional Gas Initiative (RGGI) along with Connecticut, Delaware, Maine, Massachusetts, New Hampshire, New Jersey, New York, Rhode Island and Vermont. RGGI is a cap-and-trade program that auctions carbon dioxide emission allowances, periodically lowers the cap in emissions allowed, and uses the funds raised in the auction for energy efficiency and other programs. Pennsylvania is not a partner in RGGI but exports a lot of coal to Maryland. Under the cap-and-trade program, Maryland will limit those coal imports, according to the plan. But Pennsylvania is now producing natural gas from fracking, and Mr. Hug noted that the plan takes into account only the greenhouse gas emissions created at the point of combustion in Maryland. 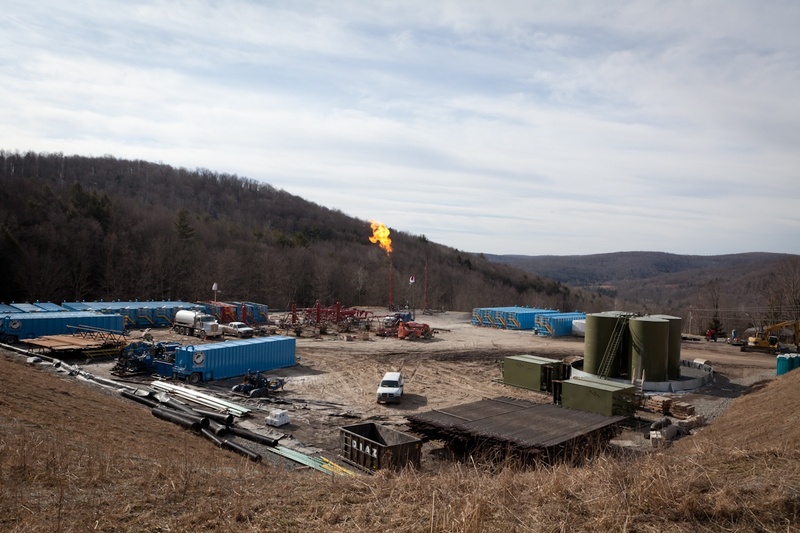 If Pennsylvania fails to control methane releases during extraction, that has no bearing on how Maryland counts the emissions during combustion of the final product, even though methane is 21 times more powerful as a greenhouse gas than carbon dioxide. Comments are needed on this topic and on fracking in general. Trading one environmental disaster by creating another is a zero-sum game. The plan also notes that trash incineration is a so-called Tier 1 source for the state’s renewable energy portfolio even though, of the techniques for waste management, it is “currently the greatest contributor to these emissions and is projected to remain that way for the foreseeable future.” Incineration, or waste-to-energy, was reclassified as a Tier I source in 2011, putting it on a par with solar, geothermal, biomass and ocean energy. Incinerators, however, provide an disincentive to recycle and compost. Incinerators also release dioxin, which is toxic to humans in minute quanties, so this is hardly a “green” energy source. Comments are needed on this topic; incinerators should not be considered a Tier 1 source of clean, renewable energy. Although the state has developed a Genuine Progress Indicator (GPI), the plan makes no mention of this valuable tool. This alternative to the traditional Gross Domestic Product places a dollar amount on such factors as air and water pollution, climate change, income inequality and loss of wetlands to come up with a more accurate accounting of economic activity. Comments supporting this index and its use to measure the costs of climate change are crucial. You can also learn more about the GPI Thursday, June 28, 6:30 p.m., at the Miller Library, 9421 Frederick Road, Ellicott City. RSVP to transitionhoco@gmail.com. One final point is that we need to support the plan and, if anything, ask whether it is strong enough. Maryland officials are planning seriously for the disruption from climate change and should be commended for that. As a point of comparison, North Carolina has lately been trying to deny the effects of climate change. While the state was trying to devise policies to prepare for sea-level rise caused by climate change, an economic development group complained. Bowing to the pressure and perhaps thinking that they wouldn’t have to plan so much, the legislators deleted dire predictions in a report prepared by the state’s Coastal Resources Commission, and the state Division of Emergency Management changed the projected worst-case sea-level rise to 15 inches by 2100 instead of 1 meter (or 39 inches). Coastal communities thought the worst-case scenario would be bad for business. Perhaps true, but fudging the numbers probably won’t stem the rising tides. According to the Raleigh News & Observer, Republican state legislators have also introduced legislation that requires the state to consider only historic levels rather than the accelerated sea-level rise predicted by scientists. Virginia also commissioned a study of flooding and its coastline only after removing all mention of climate change, global warming and sea-level rise. So it is worth noting that Maryland (at least the current administration) is not in denial about climate change and is taking steps toward a cleaner energy future. According to the Maryland’s GHG emission reduction report, this state can expect 2.7 to 3.4 feet of sea level rise over the next century: “By the end of the century, an estimated 6.1% of Maryland’s 3,190 miles of coastline will be vulnerable to inundation from a 3.3-foot increase in sea-level. With two feet of additional sea-level rise, 550 square miles of land could also be inundated at high tide, including the homes of over 60,000 people and 66 miles of roads. Maryland’s coastal zone encompasses two-thirds of the State’s land area and is home to almost 70% of its residents.” No whitewash there. Wilber was a reporter in 2008 for the Binghamton (NY) Press and Sun-Bulletin newspaper when he started covering the Marcellus Shale. Hopes for natural gas were high, and landmen could lease land for $5 an acre. Then came drilling accidents, divided communities, environmentalists’ outrage and a gusher of an industry PR campaign aimed at making people accept the risks in exchange for jobs and home-grown energy. Wilber has recorded a video trailer for his book. The Pratt has more info and the author has a blog. on Earth Institute’s state of the planet blog. Chesapeake Energy has agreed to pay $500,000 for monitoring water quality in the Susquehanna River, Maryland Attorney General Douglas F. Gansler said today. In May 2011, Gansler filed an intent to sue Chesapeake after an April 19, 2011, blowout at one of the company’s natural gas drilling sites in Bradford County, PA. Thousands of gallons of fracking fluid escaped the “inadequate containment,” Gansler said in a press release, and for two days poured over farmland and into the Towanda Creek, a tributary of the Susquehanna River. The river provides drinking water for 6.2 million people and about half of the fresh water that enters the Chesapeake Bay. The company also paid $190,000 in fines in Pennsylvania for the incident. 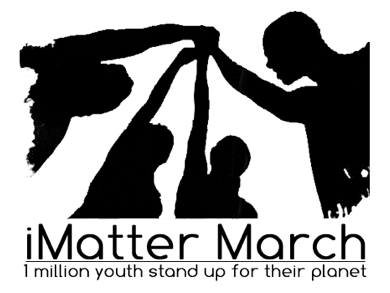 U.S. District Judge Robert L. Wilkins, in a ruling dated May 31, said that the federal courts don’t have jurisdiction in the kids vs global warming lawsuit. The judge said the issues raised in the case are best left to the states and federal agencies and dismissed the case. Several members of CCIHC were outside the U.S. District Court hearing in Washington, DC, May 11, when Alec Loorz, the lead plaintiff who is now 18 years old, asked that the lawsuit be permitted to proceed. The government agencies named in the suit, as well as National Association of Manufacturers and other industry groups, were asking the court to dismiss the suit. The teens, represented pro bono by a California firm, claimed in their lawsuit that the government had failed in its duty to protect the atmosphere for future generations and had allowed unsafe levels of greenhouse gas emissions to build up in the atmosphere. They also wanted the court to declare that federal agencies had to reduce CO2 levels in the atmosphere to less than 350 ppm during this century. The New York Times is reporting today that New York is considering a plan to allow fracking only in struggling counties along the Pennsylvania border that want the industry. Even so, drilling would be prohibited in the Catskill Park, aquifers and historic districts. 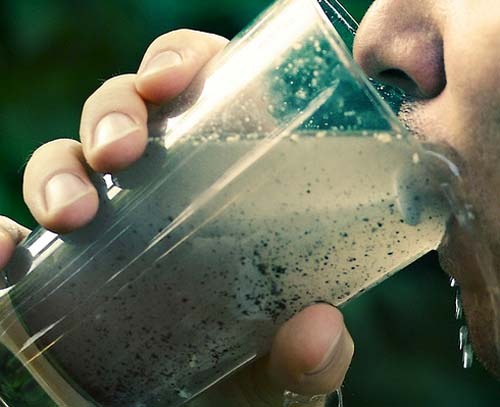 The state would also limit drilling to the deepest shale areas (at least 2,000 feet below the surface) in order to minimize the chance of groundwater contamination. The New York Times has published a map online showing more than 100 communities in New York that have banned fracking, as well as those communities that have rejected bans. On Day 12 of their protest, the few remaining residents of a mobile home park along the Susquehanna River are still refusing to leave to make way for a pumping station that will provide water for the fracking industry in Pennsylvania. But Aqua America, the new owner of the property, sent security guards today to erect a temporary fence, and state troopers were called to arrest protesters, some from the Occupy movement, for trespassing. No one has been arrested, but activists who don’t live at the park have been told to stand along the side of the road outside the park. This saga began in February, when the owner of the Riverdale Mobile Home Community in Lycoming County sold the land to Aqua America (whose owner, Nick DeBenedictis, was secretary of the Pennsylvania Department of Environmental Resources from 1983 to 1986). The 32 families, some of whom had lived at the park for 20 or 30 years, owned their mobile homes and paid rent at the park but were told the leases were terminated immediately and given until June 1 to leave. Aqua America gave $2,500 to those leaving by April 1; $1,500 to those leaving by May 1 – although some residents said that moving their trailer would cost $4,000 to $10,000. Those who fought the eviction said they were too poor to move and noted that rents in the area had also risen because of the influx of workers for the fracking industry. 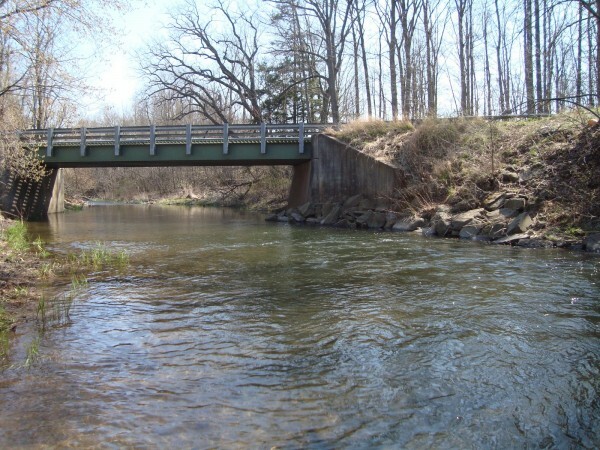 Aqua America, which notes on its website that “for us, being green comes naturally,” has a permit from the Susquehanna River Basin Commission to withdraw up to 3 million gallons of water to ship through its new pipeline to the gas industry that is drilling in the Marcellus Shale in north-central Pennsylvania. The SRBC members are representatives of the governors of Maryland (Robert Summers, secretary of the state Department of Environmental Resources), Pennsylvania, New York and from the federal government. 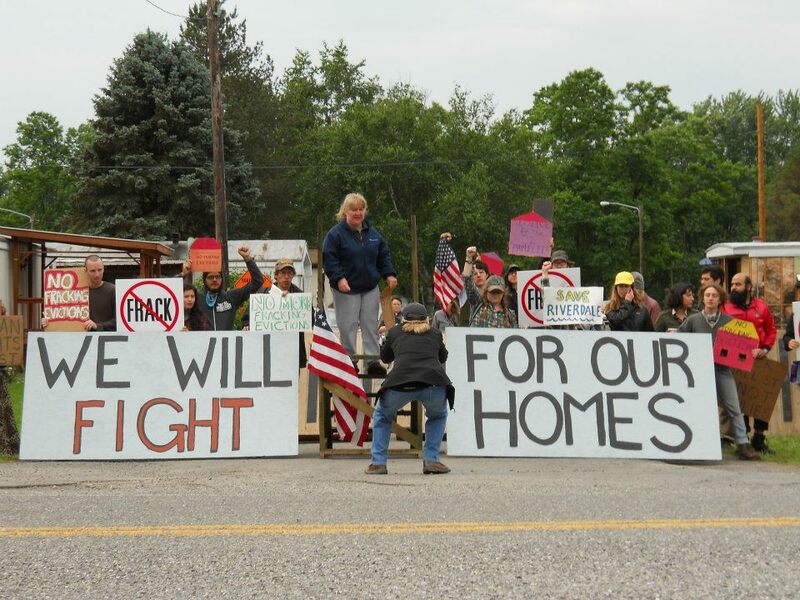 Since, June 1, the holdouts and their supporters have blockaded the park to stop construction of the water pumping station and set up a website, Save the Riverdale Mobile Home Park, where videos from today and prior protests are posted. WNEP, a Scranton/Wilkes-Barre television station, had this report. This essay, which discusses some of the mean-spirited online comments of those who back industry, looks at the social justice issues behind the protest. And photojournalist Stanley Rogouski writes passionately about the human costs of fracking. 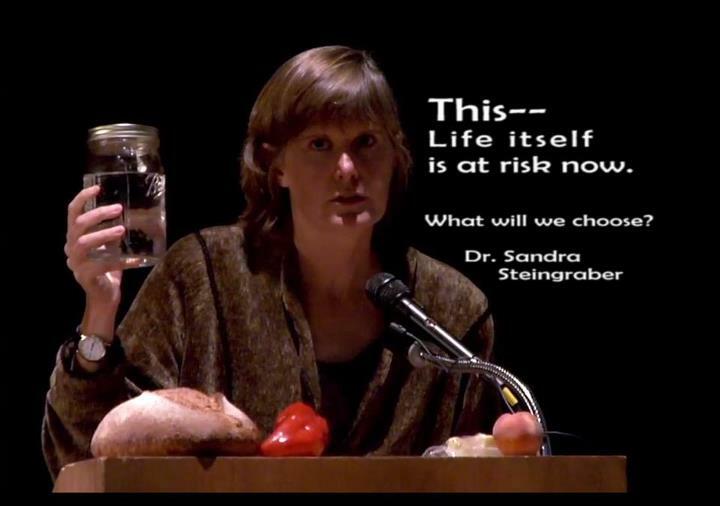 The Pennsylvania Association for Sustainable Agriculture has called for a moratorium on fracking. Last month, organic famer Stephen Cleghorn spread the ashes of his wife on his land to “declare this farm off-limits to unconventional drilling for gas in the Marcellus Shale that lies a mile below it.” He wrote in an essay: “After Lucinda’s ashes become a part of this piece of the good earth, it becomes sacred ground to me and they are advised to keep their hell away from this place.” Cleghorn has a blog and wrote an essay after his wife’s death. He also makes his case against fracking in this presentation. The level of carbon dioxide in the atmosphere has reached 396.78 ppm. That’s the preliminary data released from NASA’s Mauna Loa Observatory. 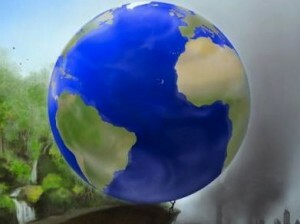 The level we and the all life on the planet are accustomed to is 350 ppm. CO2Now.org keeps a running tally. As those numbers climb, scientists in a study published in the June issue of the journal Nature are warning that the loss of biodiversity, the climate’s fluctuations and other factors could lead to an irreversible collapse of the ecosystem. “In a nutshell, humans have not done anything really important to stave off the worst because the social structures for doing something just aren’t there,” Mooers says. “My colleagues who study climate-induced changes through the earth’s history are more than pretty worried. In fact, some are terrified.” Press releases about the study are here and here. The June Nature issue, called A Second Chance for the Planet, is devoted to the environment and looks at what has gone wrong since the 1992 Rio Summit and what can still be done at the Rio+20 Earth Summit in Rio de Janeiro, Brazil, that begins June 20. 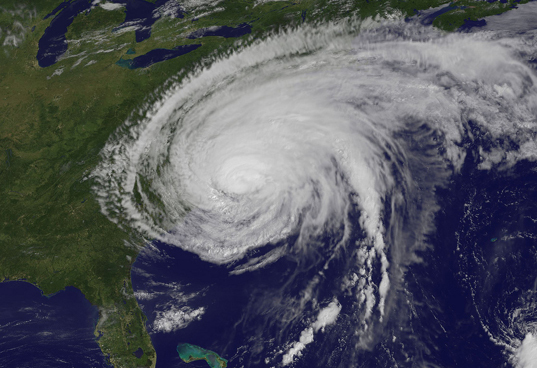 Hurricane Irene makes landfall in August 2011./Photo from NASA. Maryland State Treasurer Nancy K. Kopp says companies should disclose risks they face from climate change so that investors, including states, can make better decisions. Her comments came after a group of nonprofits and investors issued a guide for disclosing and managing risks called Physical Risks from Climate Change. The report indicates that climate change “has already started to cause a wide range of physical effects— with serious implications for investors and businesses. While weather variability and extremes have always existed, the science shows that extreme weather events are becoming more frequent and intense, that incremental climatic changes are already underway, and that the impacts of climate change are expected to grow more severe over the coming years and decades.” Of the losses in 2011 from natural catastrophes, extreme weather accounted for 90 percent of the disasters, the report said, and caused $55 billion in insured losses and $148 billion in total losses. Read more about Nancy Kopp’s comments here and find the report here.